As the weather changes to cooler temperatures, there is nothing better than a delicious pot pie. With school obligations, work, and a busy routine, having a delicious and easy meal for weeknights is a must. 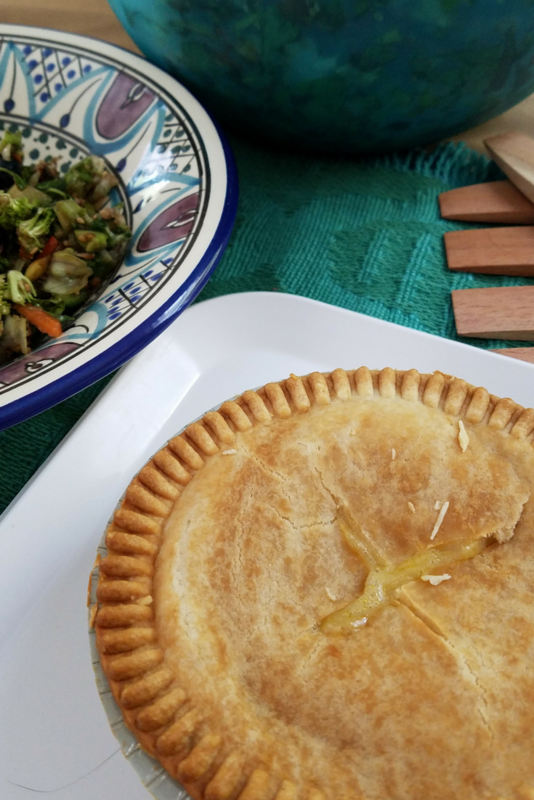 That’s why I was happy to share one of our favorite Easy Chopped Salad Recipe ideas that pair wonderfully with the always classic Banquet Chicken Pot Pie! Making a healthy and hearty meal on busy weeknights is often a struggle. Working from home can sometimes make it tough for me to stick to a routine. Before I know it, dinnertime has arrived and I have a Wee Child asking me what he is having. While I am currently eating a plant-based diet, I don’t want him to go without the comfort foods he loves. So, Banquet Pot Pies are an ideal answer. 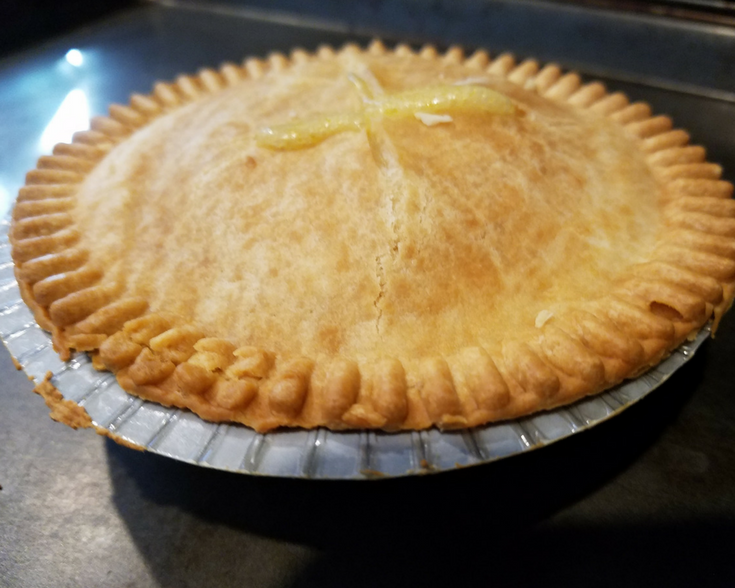 I can create a wonderful easy chopped salad recipe that goes alongside his favorite Banquet Chicken Pot Pie in minutes that will also serve as a great meal for myself. Convenience doesn’t have to mean it doesn’t taste good. One of my favorite freezer meals has always been the chicken pot pie. With a homemade flaky crust that everyone will love, it brings to mind the favorite cool evenings of fall and winter. There is nothing as satisfying as spooning out a scoop of warm creamy pot pie with peas, carrots, chicken, and the best crust. Since I can make this in the oven in just 35 minutes it makes it super easy to fit into a busy evening. While the Banquet Pot Pie offers an all in one meal, we like to add a bit more to our meals. 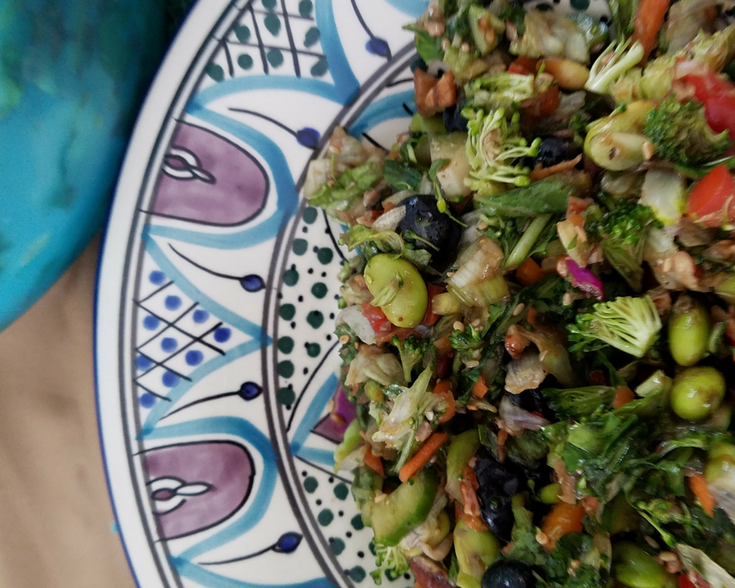 A nice easy chopped salad recipe is a perfect addition that provides some nutrient dense flavor to help satisfy my tween son and his large appetite. This recipe is a super easy addition, that comes together in minutes with a light delicious dressing. Just because I have chosen a plant-based diet doesn’t mean that dinner time has to be expensive or hard to make. Using Banquet Chicken Pot Pie as a great meal option for my son is perfect. Not only are they always affordable at Walmart, they are a great easy to make a functional meal everyone in the house loves. 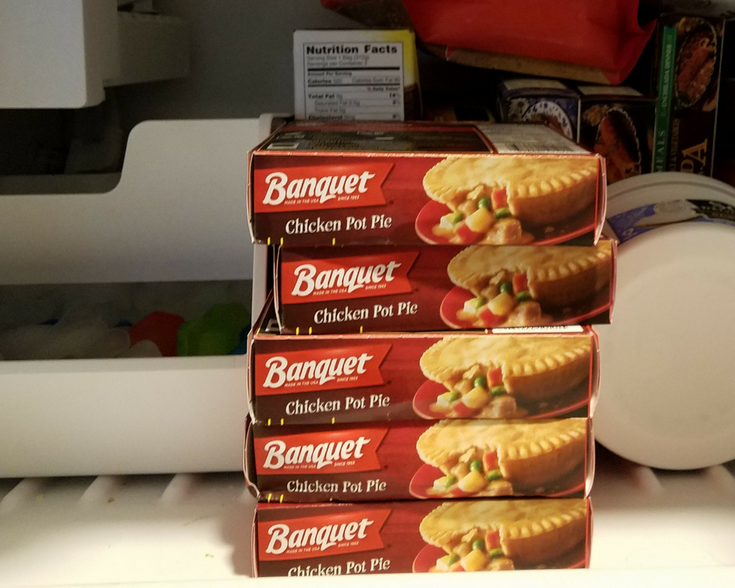 Save money right now by shopping at Walmart and using iBotta for a $.50 reward when you purchase 2 Banquet Pot Pies. Shake or blend until well combined. Pour over chopped salad and mix until well coated. This recipe is a great choice to go alongside your favorite Banquet Pot Pie. A full meal that satisfies your family while keeping you in budget and without stress at dinnertime is a must.